You are here: Home » Featured » What Happened to Our Health Freedom? What Happened to Our Health Freedom? It was early in the morning in Venice, California. A multi-agency raid by police in full SWAT gear, automatic weapons drawn and tear gas at the ready, made some serious arrests. Contraband was destroyed and cash confiscated. A drug raid? A terrorist sleeper cell? More “illegal” gold and silver currency a-la Von Nothaus? No, the culprit: raw milk and cheese. The crime? Selling unpasteurized milk and cheese to willing customers fully aware of what they’re buying. Charged with “conspiracy,” Rawesome Foods, a private club selling raw milk and cheese to customers, was raided by the Los Angeles Sheriff’s department, the California Department of Agriculture, the Center for Disease Control, and the Food and Drug Administration. In what amounts to little more than economic terrorism on innocent Americans, the warrant included business and employee records, club member files, and computers. The FDA dumped out all the milk, removed every raw vegetable out of the store, and confiscated $4,500 from the owner, James Stewart. According to Natural News, the swat team entered Rawesome Foods, demanded the location of the store’s cash and sequestered and destroyed Stewart’s dairy products (a similar style raid was conducted on Healthy Family Farms, located in Santa Paula, California, a supplier for Rawesome Foods). Not only is this the second time a SWAT team has raided them (read: terrorized with mafia style tactics), but this has been happening more and more frequently across the country. We may remember a few months ago that a similar style raid was conducted on Amish who sold raw milk to their neighbors, and another on a Mennonite farm back in May. Lest we forget, Julie Bass was arrested for growing tomatoes in her house garden and was only released by mounting public pressure. Julie was facing 93 days(!) in jail. Fifty years ago I could have bought raw milk anywhere. I could have had it delivered to my door. I could have bought raw cheese and grown anything in my garden. Today I might face a SWAT team. 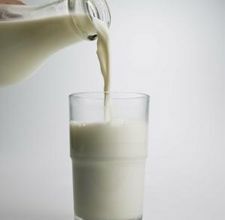 Even if raw milk is bad for you as the FDA continues to claim, is it dangerous? Is it simply unhealthy? Milk from the store made me so ill I had to stop drinking it. My stomach and overall health (not to mention energy) improved when I began to drink it raw. Let’s suppose for the sake of argument there is something unhealthy about raw milk. It is also known by every health official, health “czar,” Michelle Obama, and anyone with a modicum of common sense, that McDonald’s food is bad for you. The producer of the documentary “Supersize Me” was told he has irrevocably damaged his health by eating exclusively McDonald’s food. Yet we do not see SWAT teams raiding McDonald’s, dumping out milkshakes and happy meals and blowing up happy meal toys. So why send in the “troops” against the Amish? Why Rawesome Foods? Why family farms? Why tomato gardens? Because they represent freedom from the corporate structure. John D. Rockefeller was the one who said “Competition is a sin.” While this would seem to be at odds with the supposed “free market” system, it has in fact been the practice of any capitalist economy that has ever existed. The reason for this is that when the wealthy businessman sees the first sign of competition, rather than compete on fair grounds, he runs to the government for protection. Concerned with the specter of some danger to his cornering of the market, the wealthy businessman runs to dear old Uncle Sam for help. This is made possible by the mass power that the concentration of wealth and capital allows Big Business to wield. Since the rise of agribusiness, they have successfully lobbied government for subsidies (welfare for the rich), regulations, and taxes they can absorb, but the small private producer cannot. The FDA is staffed almost entirely by former executives for Monsanto and Archer Daniels Midland. The conflict of interest involved cannot be clearer. Thus the FDA argues that food has no health benefits for the body whatsoever (actually, that is what the corporate food cartel is aiming at, nevertheless this is the policy which the FDA supports). What sense could this possibly make? Drugs? We’re talking about walnuts! This, however, is good for big pharmaceutical companies. If the goal of your economic activity is to make money, and people being healthy means fewer opportunities to sell pharmaceutical drugs, health is bad. If people do not have access to healthy food and artificial ailments are created in degrees and kinds never seen before in civilization, and we are prescribed more and more drugs, profits go up even if deaths occur from unnecessary disease. The policies and actions regularly undertaken by the FDA undermine the health of the American population. Whether or not raw foods have the health power some of us suggest, a truly free market should allow willing customers to buy traditionally made, time-tested products. The unlimited accumulation of wealth and formation of large powerful companies—without government regulation to limit their power—ultimately enslave government to that power. This is the history of capitalism since its overall emergence several centuries ago. Only a return to an economy that puts virtue as its primary goal and money as its means, and a government which behaves according to that concept, can possibly create freedom in our economy and society. Without it, we lose our ability to make proper health choices. Ryan Grant is a native of eastern Connecticut. He received his Bachelor's degree in Philosophy and Theology at Franciscan University of Steubenville, and also studied at Holy Apostles Seminary. He currently teaches Latin in Post Falls, ID where he resides with his wife and two children.